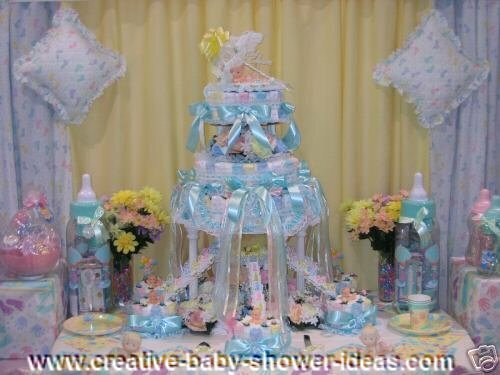 One of the hottest trends in baby showers right now is the diaper cake. If you take a peek at some of our reader photos, you will see why. 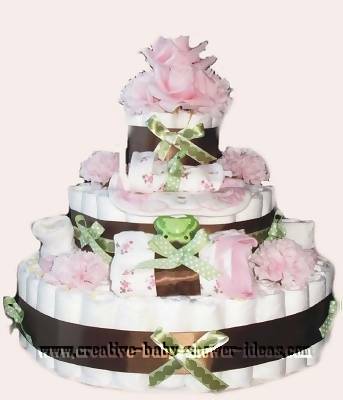 By creating a baby cake out of diapers, you are showering the mom with useful items, while allowing your creative side to show. The best part? It is actually very easy and affordable to make a diaper cake. Learn how to make a diaper cake with our easy diaper cake instructions. We have all the inspiration you need to make a fabulous cake. And when you are done, be sure to come back and share your creations with us! We would love to see them. Sharing your photos and ideas helps us to keep this website a free resource for everyone. After all, Sharing is the best part of making something beautiful. Just click here and you will be able to upload your photos and ideas on your own page.